Click here for more tournament information! The Inver Grove Heights Basketball Association has made the commitment to provide a safe, positive and productive experience for today’s youth in the community. 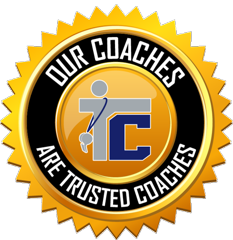 We are utilizing the Trusted Coaches Membership Program for all Head Coaches, Assistant Coaches and Board Members. 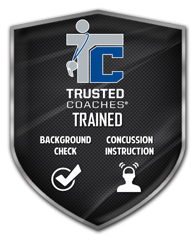 We have also created a package for some coaches that includes a nationwide criminal background check and concussion instruction. Visit our coaches corner for more information. This scholarship was established to recognize a senior who has participated in the traveling basketball programs in the 3rd through 8th grade and provided service to the community. On Wednesday, May 30, 2018 the 2018 Scholarship Awards Reception was held in the Performing Arts Center. The Inver Grove Heights B.E.S.T. Foundation awarded 117 scholarships totaling $168,628.00 to Simley High School Seniors. The mission of the Inver Grove Heights B.E.S.T. Foundation is to raise and award funds for post-secondary scholarships to Simley High School graduates. Congratulations to Simley's Class of 2018 and good luck next year! Jonah Milbrandt was the recipient of the 2018 B.E.S.T Traveling Basketball Scholarship. Jonah played traveling basketball from 3rd grade to 8th grade. Jonah has great memories from losing to winning records, sketchy hotels and life long friendships. Jonah is continuing his education at the University of Upper Iowa in Fayette, Iowa and pursuing a degree in Financial Management.